Our Chestnut 1834 is the only tan you need this Summer! We're in love with this styling by Edinburgh based Blogger Cathistle & you can read her full review here. Paired with this stunning emerald sundress, this is a spot on look for those balmy evening strolls, on vacation & staycation! Designed in London, at NIXEY we bring the fabric of the city into our design. From the heavy chrome fittings, a nod to the 70s Punks of the Kings Road, to the 1834 Red leather, the colour of the iconic London Bus. Union Jacks out in force! As ROYAL WEDDING fever builds in the Capital & throughout the UK, we are celebrating our very British heritage. We are launching new additions to the NIXEY Collection at Scotland's Spring Trade Fair this weekend. New personalised gifts include initial bag-charms, keyrings and coin purses, beautifully gift wrapped to give as a little piece of Scotland in a box. 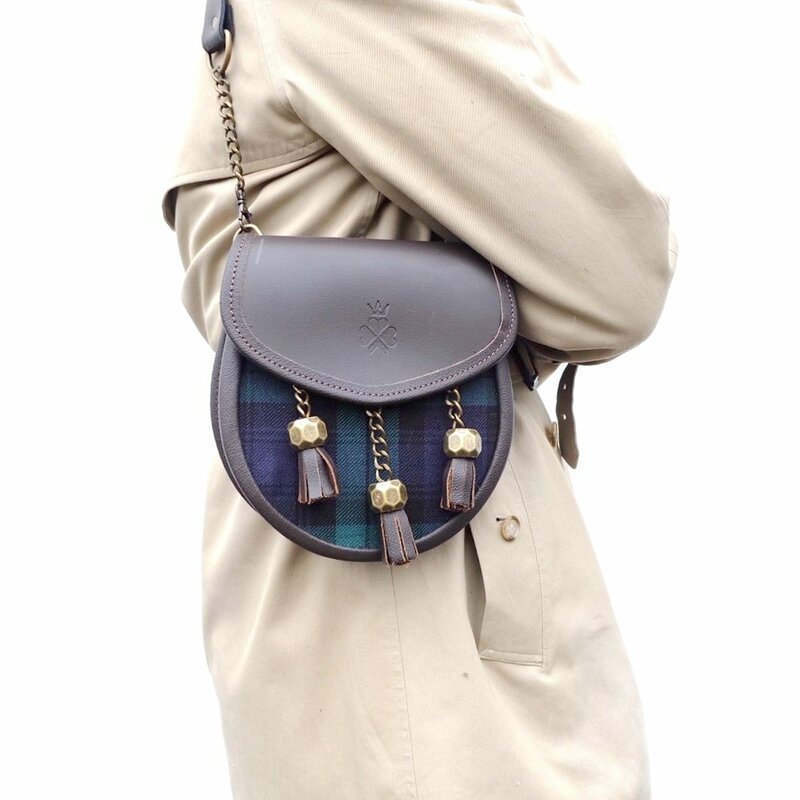 New 1834 bag designs will also launch at the show, in tartan, tweed and velvet, celebrating our love of quintessentially Celtic & British style. If you are visiting the show, we would love to see you. Please find us on Stand K40. The 1834 is something special for someone special. Beautifully handcrafted by artisan leather makers in a workshop bordering the Highlands, the 1834 is a gift that celebrates timeless Celtic design and British craftsmanship. Cosy up in front of the fire and read about us in the Christmas Edition of Scottish Field too.